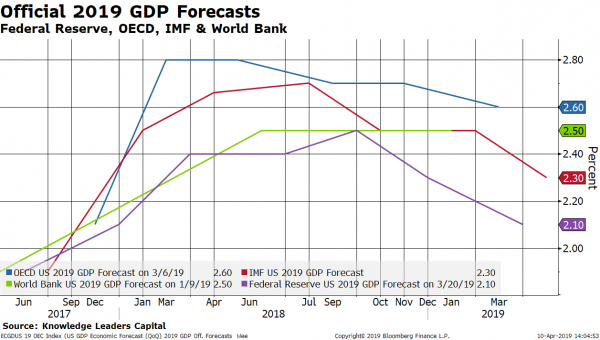 The IMF made news yesterday by announcing its latest updates to 2019 GDP growth around the world. It guided global growth down and made an especially large cut to Eurozone growth estimates, bringing them down 30bps since January to 1.3%. 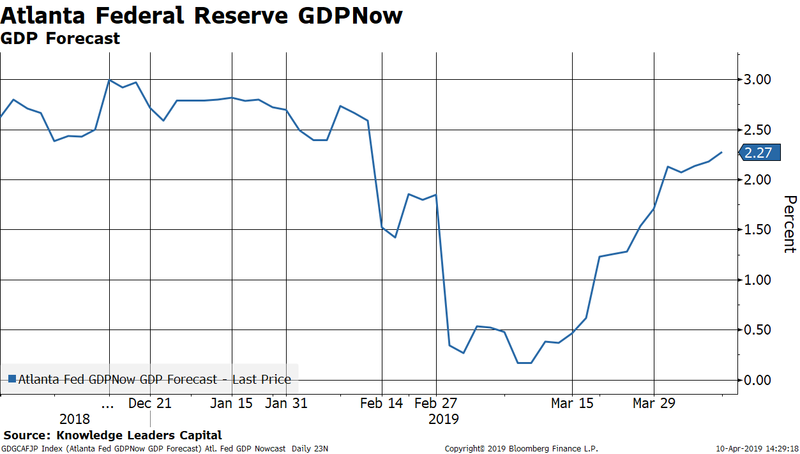 The Federal Reserve has cut its 2019 GDP forecast by 40bps in the last four months and is the most bearish official forecaster. 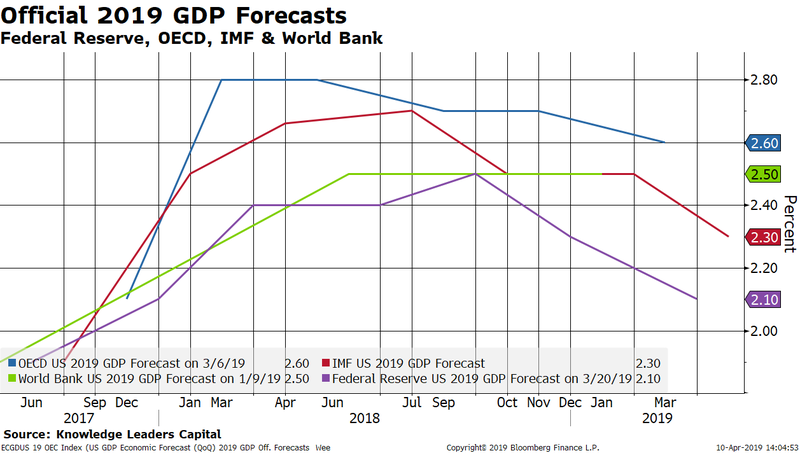 The IMF was earlier than the Fed to bring its rosy growth estimates down in September 2018, but they have also trimmed their estimates by 40bps total too. Private forecasters are also a bit behind the Fed on their 2019 US GDP estimates. The Bloomberg Contributor Composite forecast for 2019 growth is 2.4%, having come down only 20bps since November. Interestingly, private forecasters raised their estimates in November by 10bps just before the wheels came off the stock market in December. 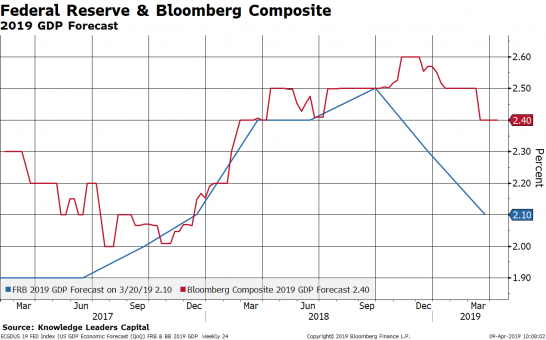 The net here is that private forecasters are still a bit optimistic relative to the Fed, raising the risk that private estimates need to come down some more. In all fairness, economic data has been pretty volatile lately, especially after the drop in rates. 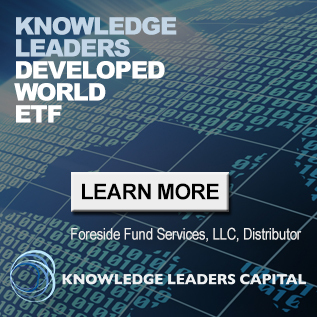 In February, weak consumer spending started dragging down its expected contribution to first quarter growth, according to the Atlanta Fed. But, then in early March, likely a result of the drop in mortgage rates, the expected contribution to residential investment picked up. 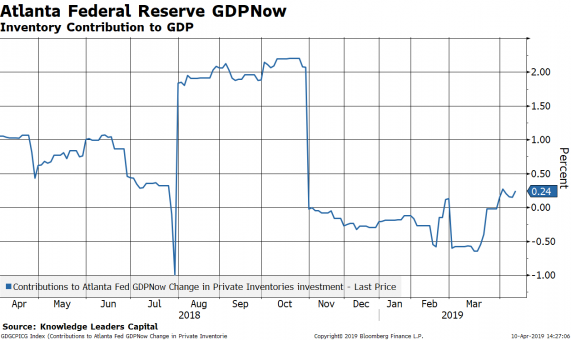 In the last three weeks, first quarter growth got another boost when it became clear the economy was not purging inventories, but was instead building inventories. 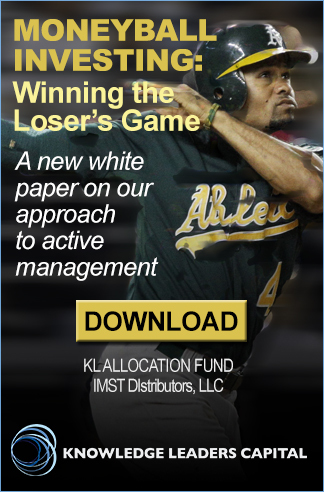 This swing in inventory contribution alone is 75bps since mid-March. 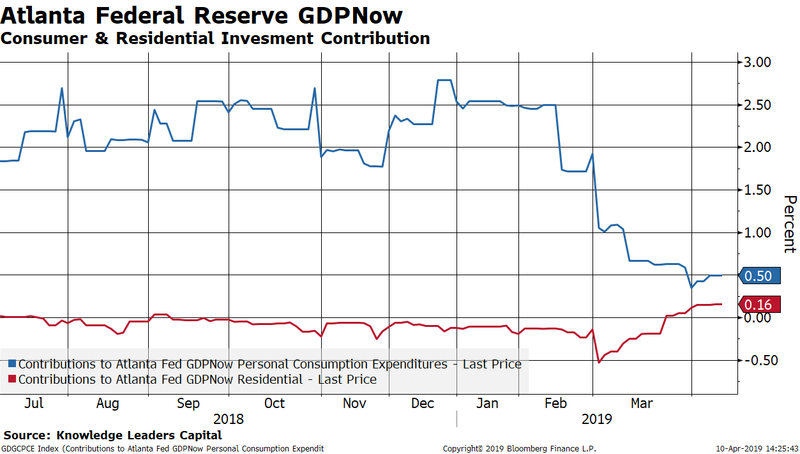 The Atlanta Fed’s GDP Nowcast for the first quarter is now back to 2.27% as a result of these swings in housing and inventories. This is about spot on the IMF’s annual target. 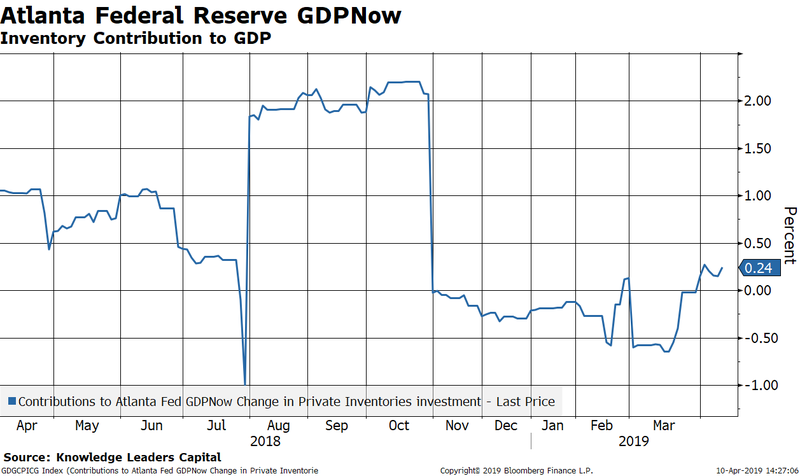 Given the latest data points, the Fed is clearly not on the same page as everyone else… it is more negative on growth. 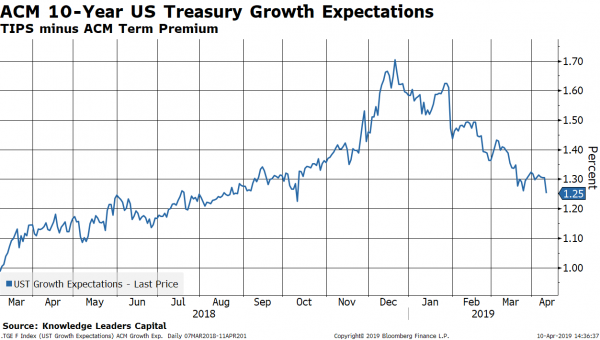 This is a pretty decent signaling mechanism of patience and gives quants some numbers to play with in assessing the attractiveness of US Treasuries. Perhaps this explains why 10-Year US Treasury growth expectations are making a new break lower for the year as 10-Year TIPS are ticking to new low yields for the year as of this writing.